We are the lead school in Lambeth for outdoor learning with all year groups following the Natural Thinkers Curriculum. We follow an outdoor curriculum based on ‘Forest School’ principles and gardening which was developed by staff and pupils at Heathbrook and adapted for all Lambeth children. 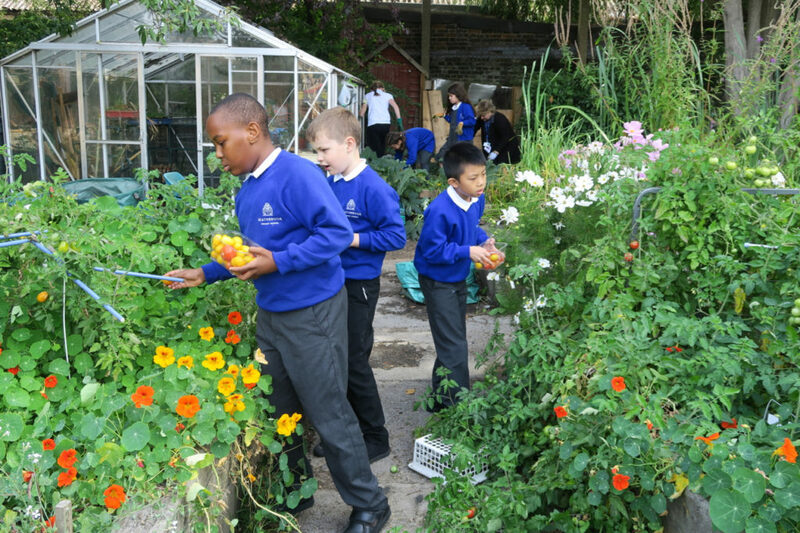 Pupils in Early Years have free-flow access to their own gardens while Year 1 and 2 pupils have their own ‘Oasis’ garden immediately accessible from classrooms. All pupils have regular lessons in the Wildlife Garden where they learn to use tools, develop gardening skills and nurture the flora and fauna. We have a pond and a bog that are homes to our frogs and greater crested newts. The school community has been involved in developing all of our outdoor learning spaces through projects such as Growing Together and Big Digs. Nursery pupils sell their produce to parents at the ‘Nursery Market’ whilst older pupils sell our produce at the Venn Street Farmers’ Market.